Due to the generosity of Herefordshire businesses and the wonderful organisation skills of Caroline Mifflin and Maddie Roberts (not to mention the Cantabile parents and helpers too of course) everyone enjoyed a fantastic evening of fundraising for the Nepal Earthquake Disaster Ghachok fund, including the Lord Lieutenant of Herefordshire Lady Darnley. 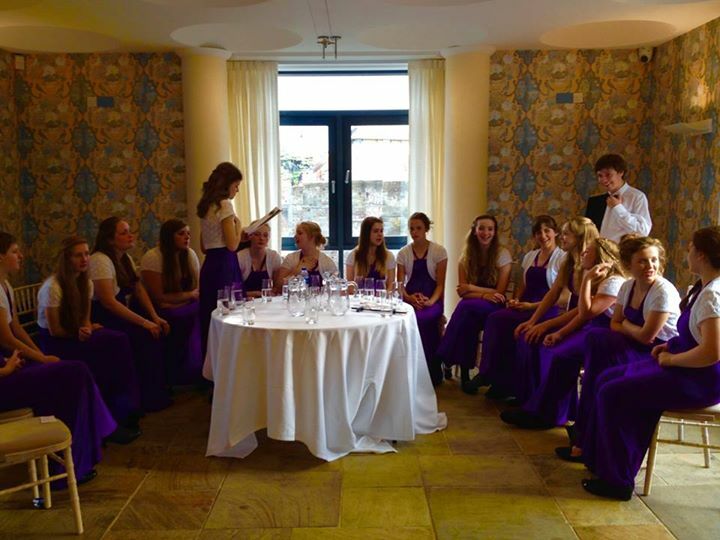 Following a pre-concert meal courtesy of Pizza Express, Hereford Cathedral School’s Cantabile girls choir performed a wide repertoire of songs which included Gilbert and Sullivan classics, and a preview of their Llangollen Eisteddfod 2015 songs. The audience at the Left Bank in Hereford gave them a standing ovation at the end of the evening and hopefully the final total raised will be worth a standing ovation for everyone who was involved. This entry was posted in Cantabile Girls Choir, Concert, Nepal Earthquake disaster Ghachok Fund and tagged Cantabile Girls Choir, Nepal Earthquake Disaster Ghachok fund on July 5, 2015 by cantabilegirlschoir. It’s a date not to be missed and a cause close to the school’s and the girl’s hearts. Please support them if you can. Hereford Cathedral School has a long standing friendship with the village of Ghachok, in the middle of the Earthquake region, and supported the development of their Shree Sharada School. Many people have lost everything including the means to earn a living. 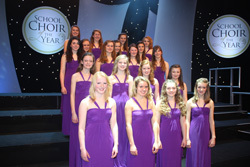 Cantabile are hoping that they can use their recent success on Songs of Praise to attract support for a concert organised for the 3rd July 2015 at 7 pm by the Hereford Cathedral School’s PTA, at the Left Bank in Hereford. The tickets are only £15 and include canapés and a glass of Prosecco and can be purchased from the HCS Music School on Castle Street or from Peter Prosser Hairdressing on Church Street, both in Hereford. There will also be a Silent Auction and draw on the night. If you can’t make it to the concert then it’s still possible to help by making a donation. The event organisers are: Caroline Mifflin: 07918 172504 or Maddy Roberts: 07855 943901. Also read the article in the Hereford Times. 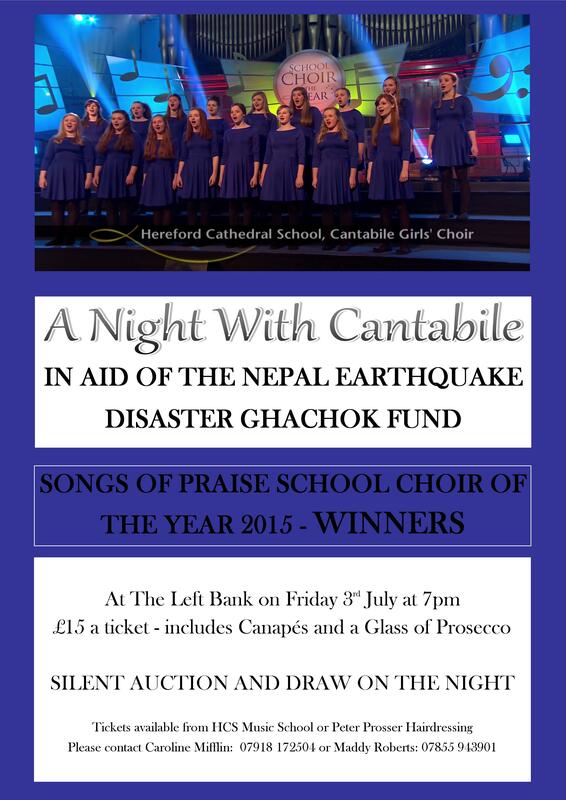 This entry was posted in Concert, Fund raising, Nepal Earthquake disaster Ghachok Fund and tagged Hereford Cathedral School, Hereford Cathedral Schools Cantabile Girls Choir Songs of Praise, Nepal Earthquake Disaster Ghachok fund, The Left Bank on June 13, 2015 by cantabilegirlschoir.